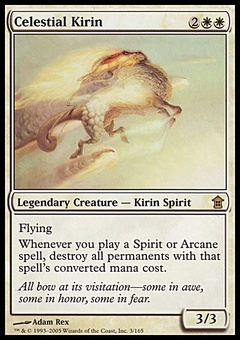 Urza's Contact Lenses ($0.23) Price History from major stores - Unglued - MTGPrice.com Values for Ebay, Amazon and hobby stores! 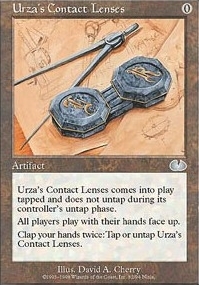 Card Text: Urza's Contact Lenses comes into play tapped and does not untap during its controller's untap phase. All players play with their hands face up. 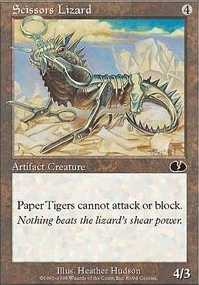 Clap your hands twice: Tap or untap Urza's Contact Lenses.